The 2016 Sony reboot starring Melissa McCarthy,Kate McKinnon, Leslie Jones and Kristin Wig and Chris Hemsworth was ouright fun and funny. The movie follows two paranormal authors Abby Yates and Erin Gilbert as they try to prove that the ghostly apparitions that they have seen and experienced are real. Friend and fellow engineer Jillian Holtzman joins the team as she creates some impressive gadgets to help catch and contain the supernatural creatures. The three soon quickly become a foursome once MTA worker Patty Tolen brings her knowledge of New York City to the table. The women soon prove their research and beliefs are true, but city officials do there best to discredit the women. In the process of the Ghostbusters trying to defend the city, they learn that a bigger threat looms as they realize that their very research and publication is the source of how the threat became one in the first place. Overall I felt that this movie was really good. The special effects were awesome. The visual perception of the ghosts were done in a creative and cool manner. The comical aspect was done well. I found myself laughing every other minute. The character chemistry was great and there were nice surprises throughout the film. This movie made happy to watch. 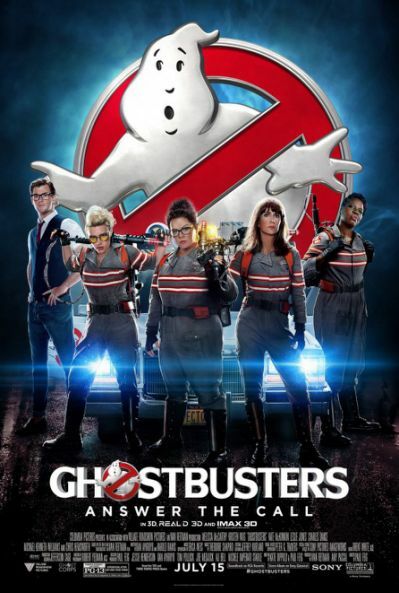 I’ve read some of the reviews on this film and I just don’t understand why people are so against four women being Ghostbusters. What’s the big deal? As an 80’s baby, and a person that loves the original two movies, I thought it was a fun remake to the franchise while at the same time there were elements of the film that kept it fresh for a newer generation. If you want to laugh and have fun, then this is the movie for you. I gave this movie a strong 4 stars.